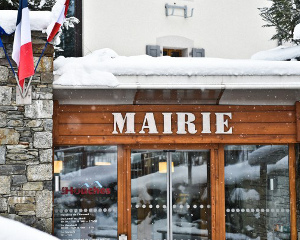 The Mairie des Houches has a system capable of automating telephone calls, sending SMS or sending e-mails, in order to alert as soon as possible all or part of the population of in the event of a crisis (floods, storms, industrial accidents or other disasters). This new service is free for registrants. You have been registered automatically if you live in LES HOUCHES and are present in the universal public directory (white pages / yellow pages). Are you absent from the universal public directory or do you work at LES HOUCHES without residing there, and would you like to be alerted? In this case, click on the "Register to alerts" button below and fill in the form for each adult of the household or business, so that they can be contacted personally. In case of an alert, the Town Hall of Saleilles will send a message (phone, SMS or e-mail) to the persons appearing on its file. If you provide your e-mail address and a password when you register, you would be able to change the information about you or unregister.